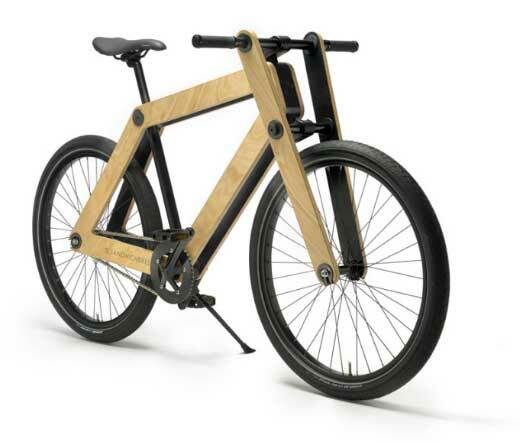 Gadgeteers love tinkering and building their own gear, so why not a kit to build a wooden bike? The Sandwichbike is a DIY kit that will let you build a cool wooden framed road bike in about an hour. 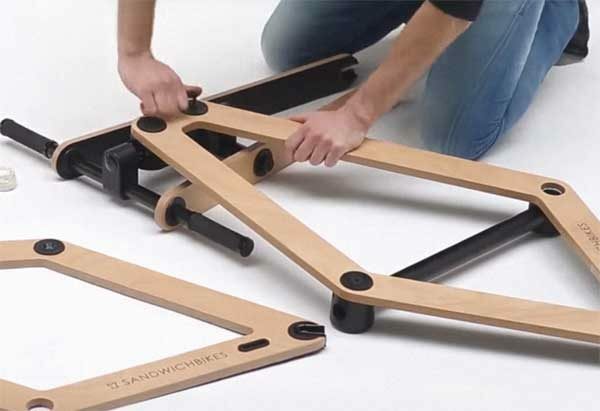 The Sandwichbike frame is made of weather resistant Beech wood. The bikes are available in single speed or two-speed models and are priced between €899.00 – €1399.00 ($1074.39 – $1671.94). That’s right, they ship from Europe, which means those of us here in the US will have to pay €150.00 ($179.27) to ship a Sandwichbike “across the pond”. Ouch. If the price of these kits doesn’t make you immediately click the back button on your browser, head over to Sandwichbikes.com for more info. I wondered where the brakes were – the site says it comes with a rear hub coaster brake, and a front handle brake is an option.